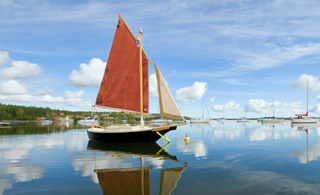 We need your support to reach our goal! Crowd-ICCS/CIEC is a new crowdfunding platform designed by Canadianists to support the study and research of Canada. Our vision is to create a community of supporters of Canada who can help us spread the enthusiasm we have to “study” and “teach” about this great country. We want to spread the word about what Canada has to offer. We believe that you can help us do this. Did you you know that our work raises the profile of Canada and impacts on Canadians by increasing exports and adding to the total wealth of the country? Support for recruitment of younger generations of Canadianists who will be willing to dedicate their careers to teaching and research on Canada. The third President of Croatia and a Canadianist from Croatia, Mr. Ivo Josipovic was the founder and first President of the Croatian-Canadian Academic Society (Hrvatsko-kanadsko akademsko drustvo). This was at the same time the Croatian chapter of the Central European Association for Canadian Studies. 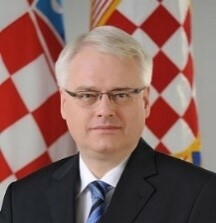 Mr. Josipovic served as President from 2010 to 2015. A Canadianist from France, Jean-Michel Lacroix has been instrumental in advancing the study of Canada at university level in France and contributed significantly to the field’s international scope. A founder of the French Association for Canadian Studies, he served as Rector of the prestigious Université Paris III-Sorbonne Nouvelle. Mr. Lacroix has received several prestigious awards. A Canadianist from Canada and Australia, Dr. Gerry Turcotte became St. Mary’s University’s third President and Vice-chancellor on July 1, 2011. 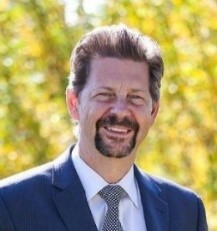 Dr. Turcotte spent 25 years in Australia in a number of academic and administrative roles, the last being Associate Provost and Executive Dean of the College of Arts & Sciences at the University of Notre Dame, the only private Catholic university in Australia. He was two-time President of the Association for Canadian Studies in Australia and New Zealand and the founder of the Centre for Canadian Studies at the University of Wollongong which coordinated hundreds of key events celebrating Canada and its culture. A Canadianist from Canada, Dr. Donica Belisle received a Pierre Savard Award from ICCS for her book Retail Nation: Department Stores and the Making of Modern Canada (UBC Press 2011). 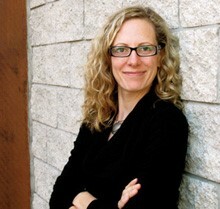 She holds a PhD in Canadian Studies from Trent University. Starting July 1, she will be Assistant Professor of History at the University of Regina, where she will teach gender and women’s history. Between 2009 and 2015 she was an Assistant Professor of Women’s and Gender Studies at Athabasca University. Her current research is funded by a federal research grant (SSHRC). It investigates women’s participation as consumers in Canada’s political economy. These examples show what an impact Canadian Studies can have in Canada and beyond. We seek your support to continue and develop this important work. We are a registered charity and we will issue an official receipt for donations of $10 and more! By supporting us you will be helping a passionate network of people interested in promoting Canada.